Using cocaine once is enough to rewire the brain and cause addiction, according to new research. A new study, conducted on mice, shows cocaine speedily rewires high-level brain circuits that support learning, memory and decision-making. The research, from UC Berkeley and UCSF, sheds light on the frontal brain’s role in drug-seeking behavior and may be key to tackling addiction. 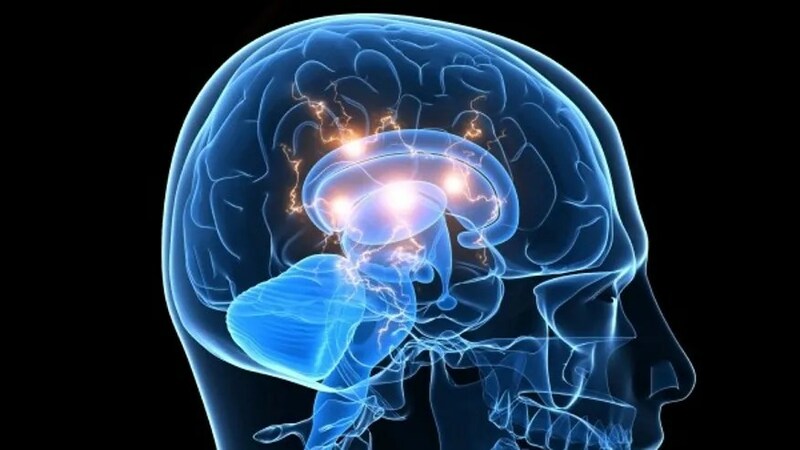 Researchers found that, after just one dose of cocaine, the rodents showed fast and robust growth of dendritic spines, which are tiny, twig like structures that connect neurons and form the nodes of the brain’s circuit wiring. Assistant professor of psychology and neuroscience at UC Berkeley, Linda Wilbrecht, said their images provide clear evidence that cocaine induces rapid gains in new spines. “The more spines the mice gain, the more they show they learned about the drug,” she said. For mice “learning about the drug” can mean seeking it out to the exclusion of meeting other needs, which may explain how addiction in humans can override other considerations that are necessary for a balanced life. “The downside is, you might be learning too well about drugs at the expense of other things,” Wilbrecht said. Using a technology known as 2-photon laser scanning microscopy, researchers made images of nerve cell connections in the frontal cortices of live mice before and after the mice received their first dose of cocaine and, within just two hours, observed the formation of new dendritic spines. “The number of new, robust spines gained correlated with how much the individual mice learned to prefer the context in which they received the drug,” Wilbrecht said. The findings provide clues to behavioral and environmental factors in drug addiction. Cosplayers and their cosplay to enjoy! 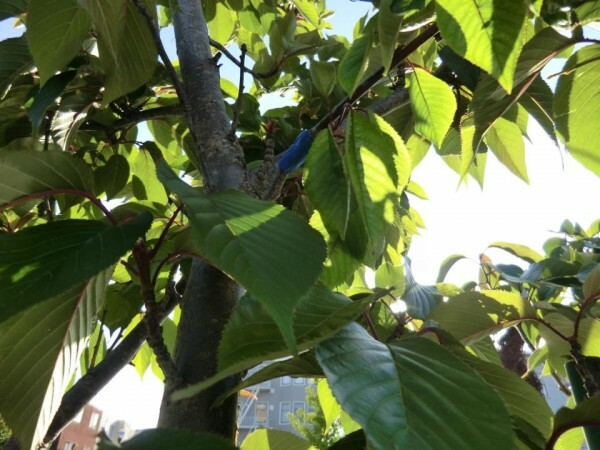 There is a group of fruit lovers in San Francisco that practice something known as “guerrilla grafting” – they graft fruit bearing branches onto fruitless, ornamental trees across the Bay Area city. Having access to free fruit sounds like a wonderful idea, considering the number of homeless people who can rarely afford a decent meal, but guerrilla grafting is actually illegal. In many metropolitan areas, urban foresters make sure that flowering fruit trees don’t bear any fruit, in order to keep fallen fruit from making a mess on sidewalks and attracting vermin. Most public trees are fruitless, a fact that the Guerilla Grafters obviously don’t like. While authorities see urban fruit-bearing trees as a nuisance, these agricultural rebels see them as an opportunity to provide fresh, healthy produce for free to anyone who walks by. According to their Facebook page, “Guerrilla Grafters is a grassroots group that sees a missed opportunity for cities to provide a peach or a pear to anyone strolling by. Their objective is to restore sterile city trees into fruit-bearers by grafting branches from fertile trees. The project may not resolve food scarcity, but it helps foster a habitat that sustains us.” Their mission, they say is to make delicious, nutritious fruit available to urban residents through these grafts. As noble as their intentions may seem to most of us, guerrilla grafting is illegal and classified as vandalism by San Francisco’s Department of Public Works. It doesn’t matter who plants the tree, who grafts branches, or who maintains it, if it’s on a sidewalk, it’s publicly owned and messing with it is a crime. But as of 2012, the department did not plan to actively pursue grafters. “Unless someone is caught in the act, there’s not much we could do,” said spokesperson Gloria Chan, adding that it is hard to catch because the average person doesn’t know what an illegal graft looks like so it’s not likely to get reported. But the law isn’t a deterrent for these urban gardeners, who seem quite focused on their mission. 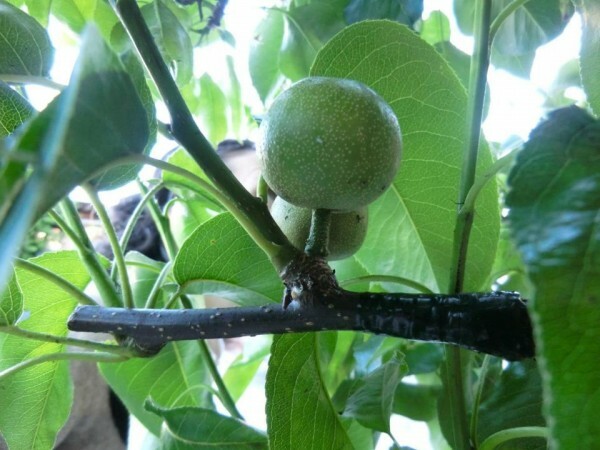 “People think of fruit trees as a kind of a nuisance,” said Tara Hui, member of the group since its inception five years ago. “The intention of doing guerrilla grafting is not so much for the sake of challenging authority, but to set an example – a working example – to counter the arguments. If we have a prototype, we can have a legitimate rational discussion on the issue.” Plus, every grafted tree has a steward, someone who promises to check up on it regularly, making sure it doesn’t cause any problems. She added that many fruit lovers did try to follow “legal channels” at first – she wanted to plant a fruit tree in front of her house and was fully prepared to care for it herself. But her efforts were repeatedly thwarted by the department and by San Francisco nonprofit Friends of the Urban Forest. So she began connecting with other frustrated residents who wanted fruit trees and they started using social media to delve into underground channels. The grafters like to think of their activities as ‘hybrid farming’ or ‘street theater’ and believe that their efforts don’t pose threats like slip hazards from fallen fruit or damage to the host trees. “With grafts, you only have a few branches that are fruit bearing, and it’s really very manageable,” said guerrilla grafter Miriam Goldberg. And they take full responsibility to make sure that ripe fruits are safely harvested. They’re also prepared to help with maintenance tasks like pruning, propping, and watering. 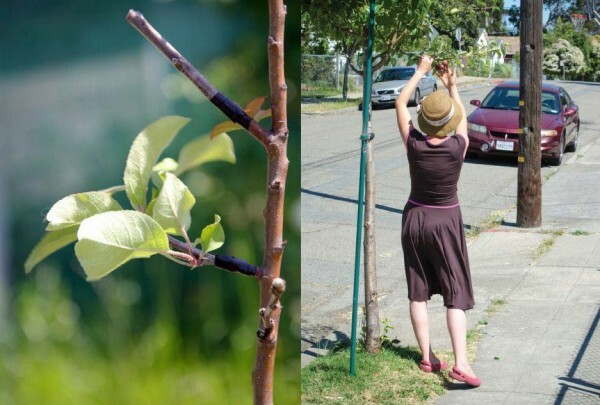 Guerrilla grafters have created a web app to provide grafting tips and help members find trees that might be good candidates to accept fruit-bearing branches. Through their Facebook page they track the progress of their cherry, plum, and pear grafts, and report upcoming events.